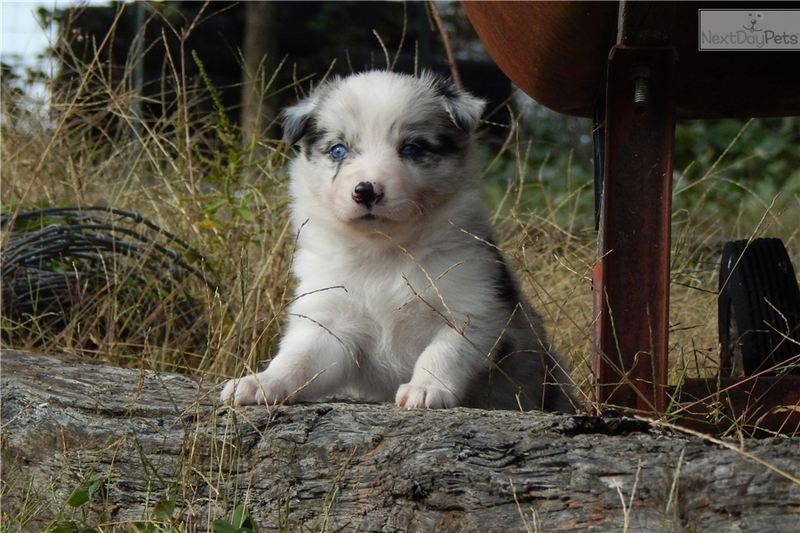 This Border Collie nicknamed Zoe sold and went to a new family. 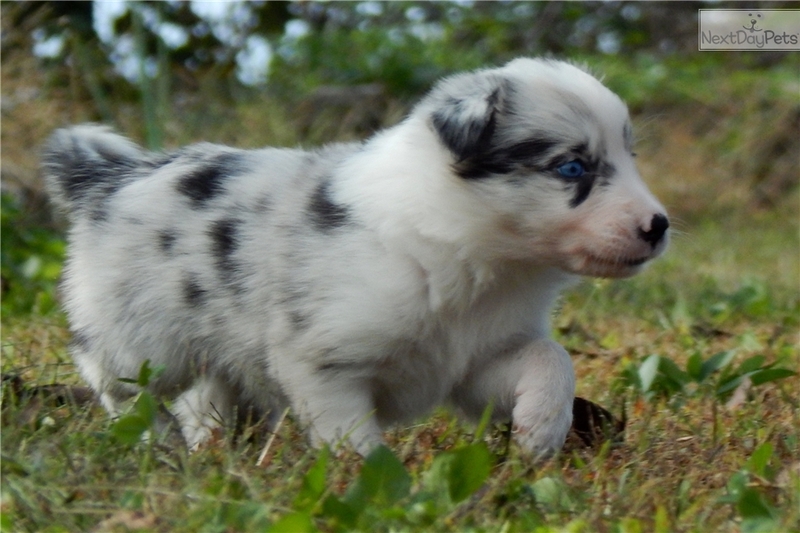 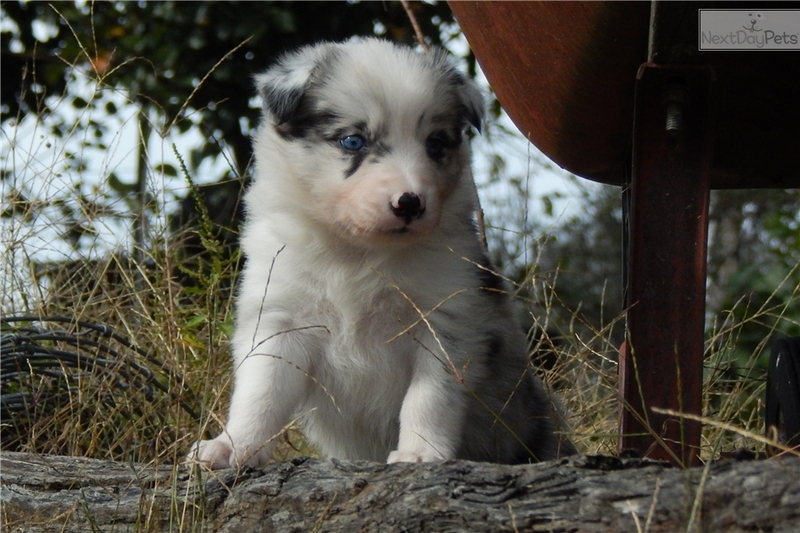 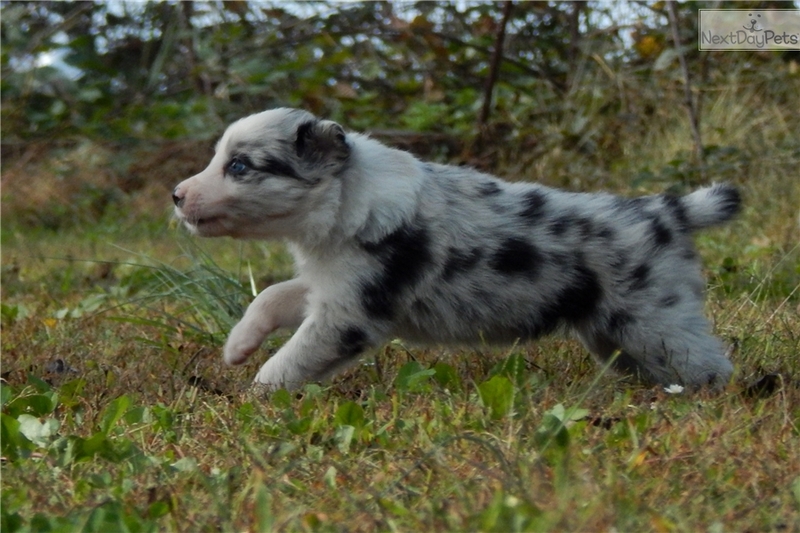 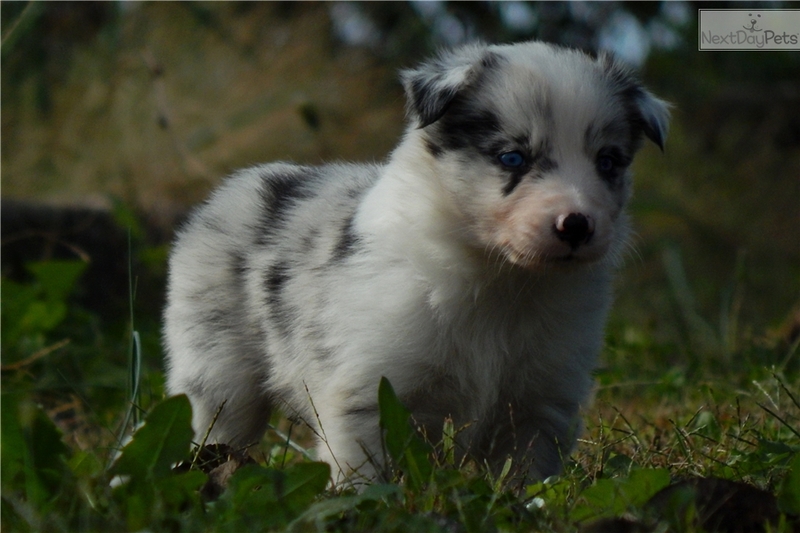 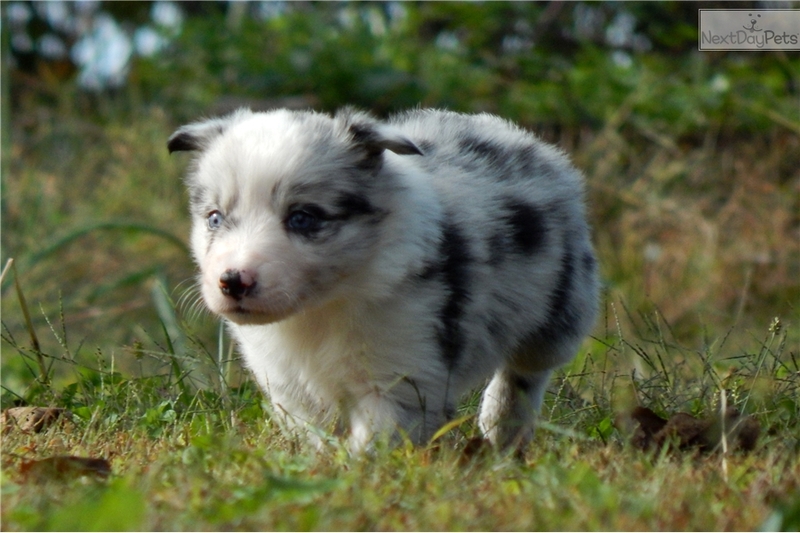 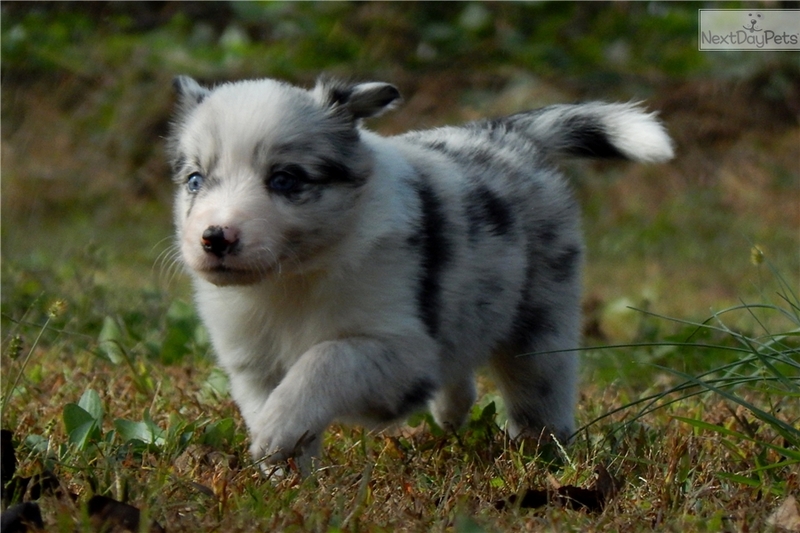 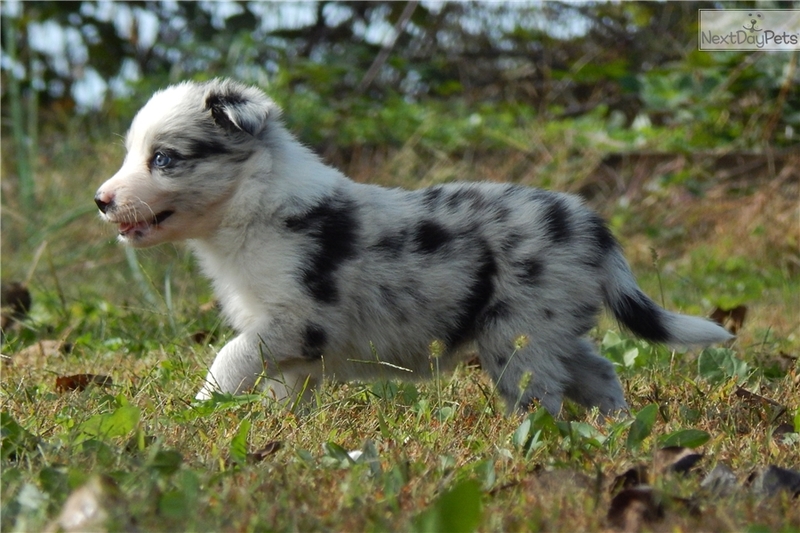 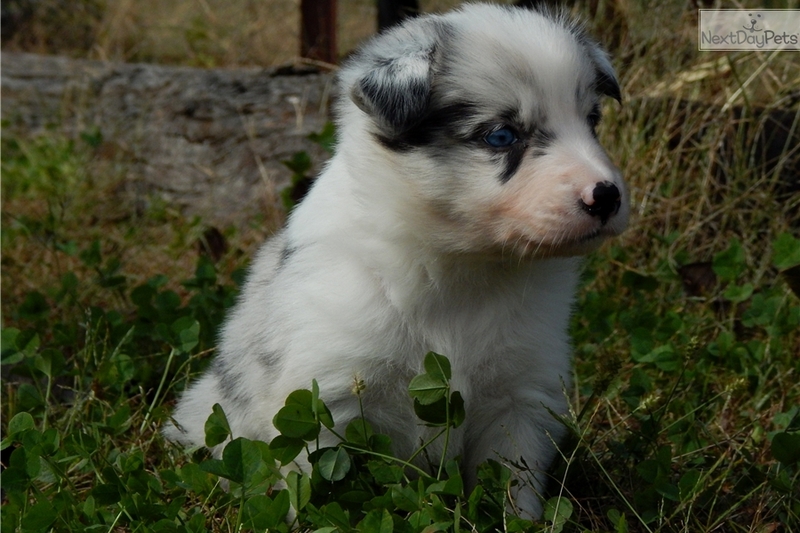 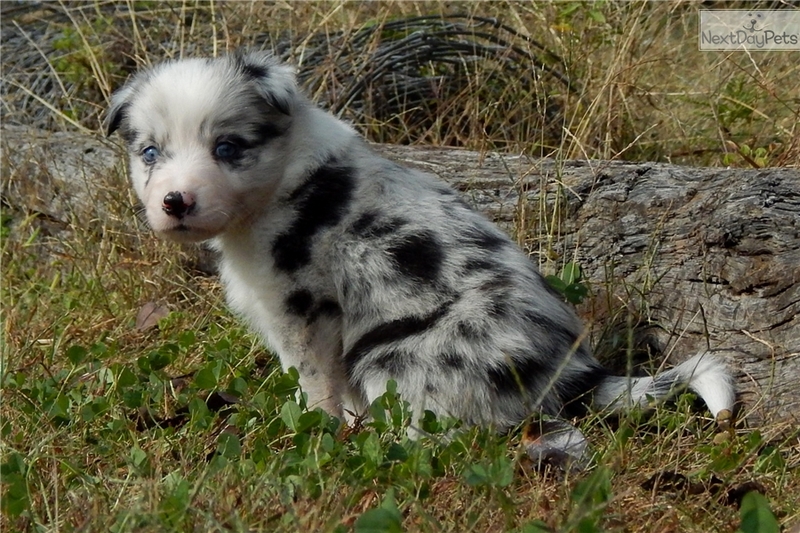 Farm raised,blue-merle female puppy with great markings & beautiful STEEL-BLUE EYES, out of working and sporting parents. 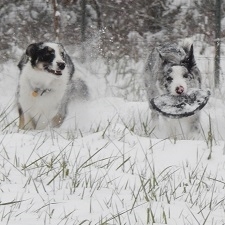 Parents work cows, goats, tennis balls and frisbees. 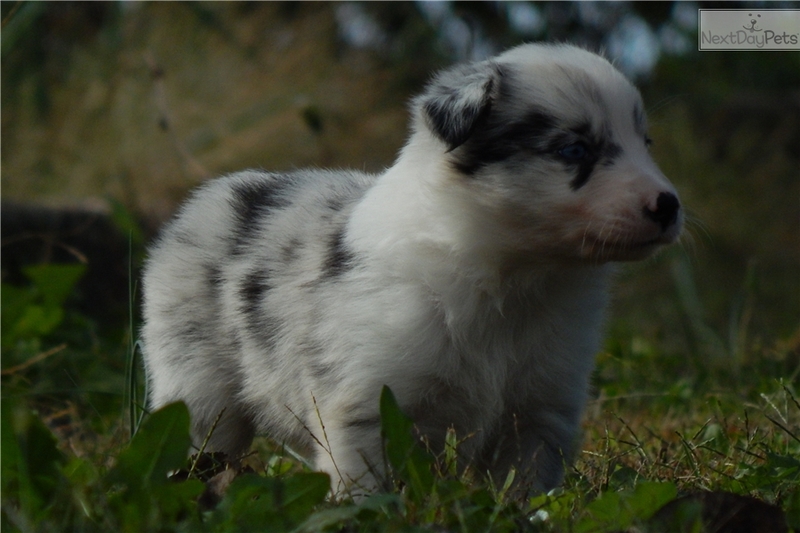 The parents have wonderful temperaments and our puppies are well socialized with kids, dogs, chickens, goats, and cows. 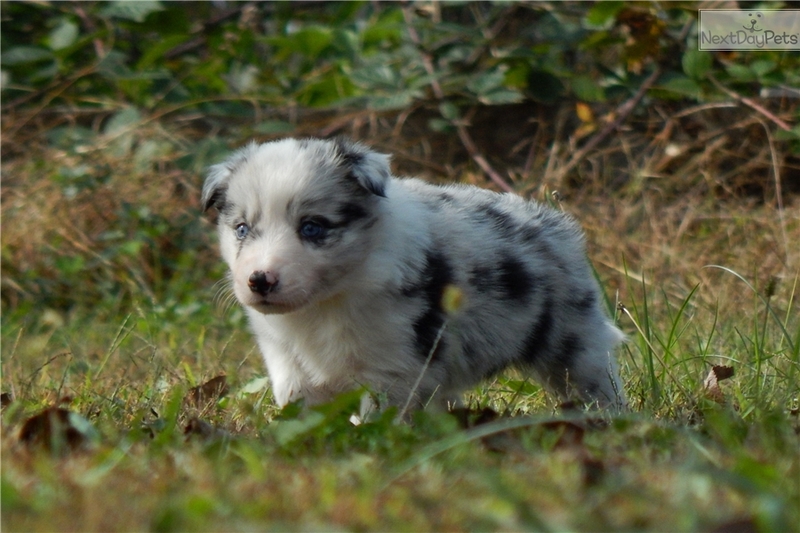 Zoe is a joy of a puppy with an abundance of character and energy with a strong desire to be with people. 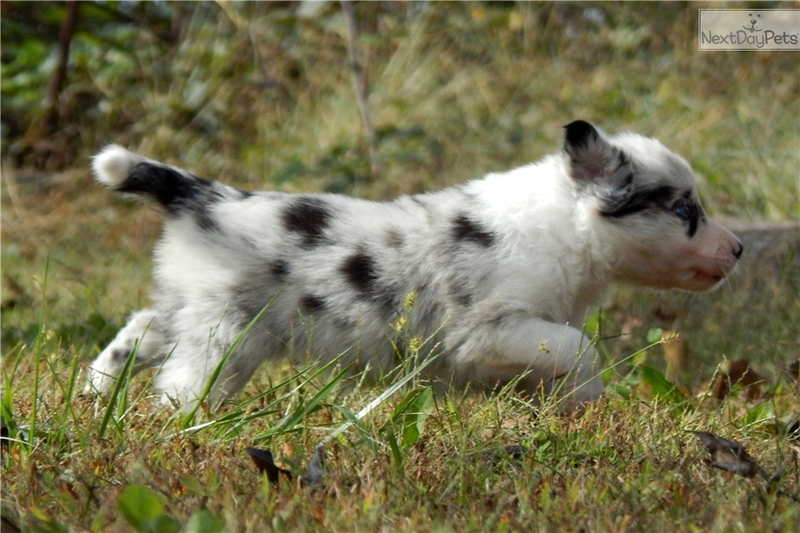 She is picking up basic obedience already and has a keen intelligence. 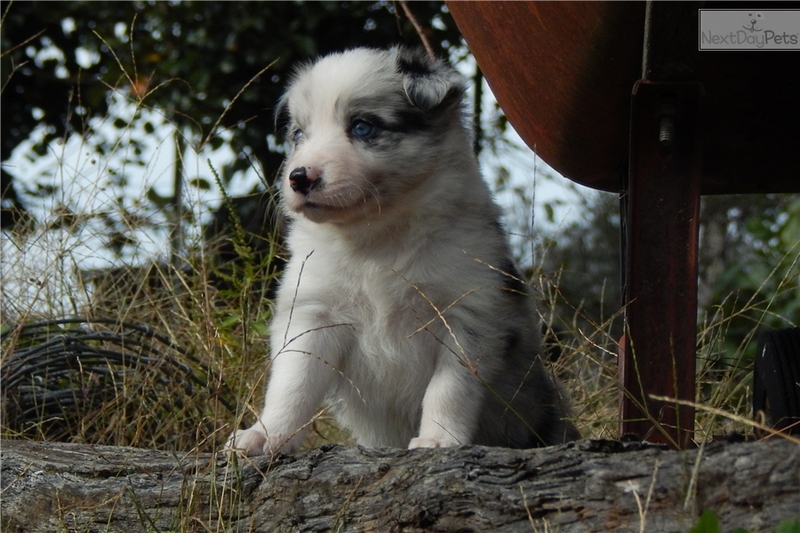 She loves people especially kids. 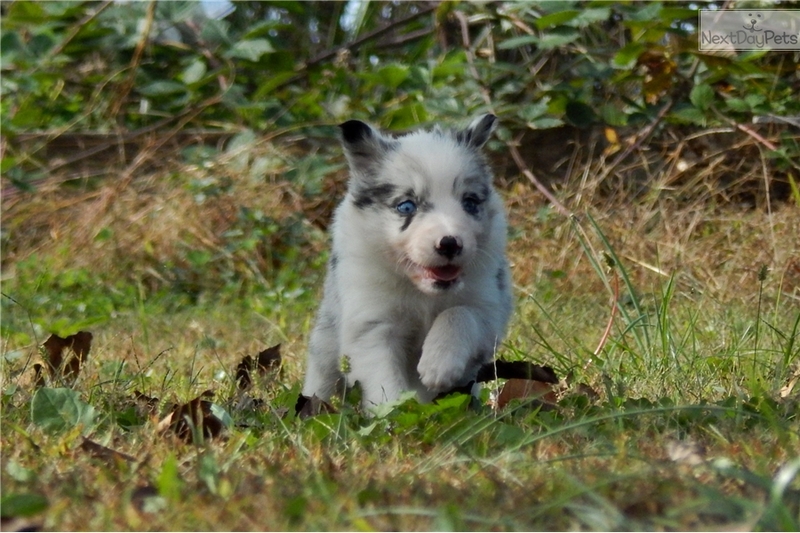 More pictures & videos available upon request. 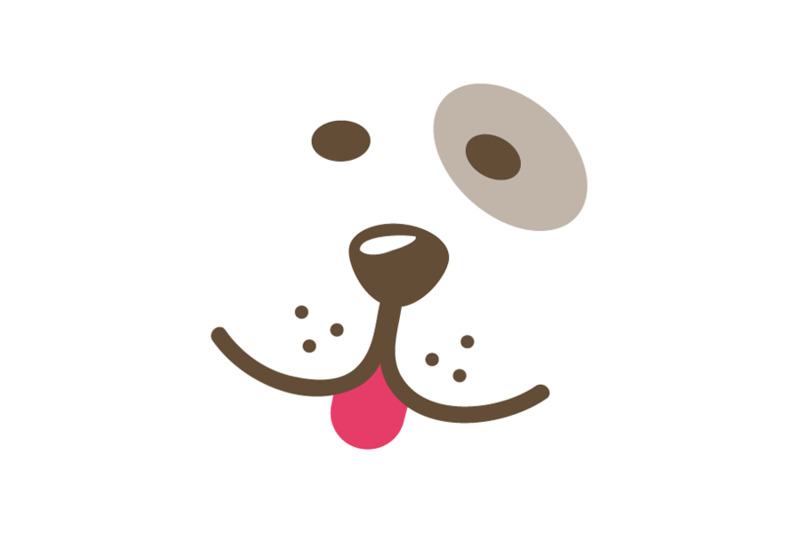 We love having guests so do not hesitate to contact us and schedule a visit.